On this page the end user can preview his services after an order was submitted. To generate a service you need to go to the Order Services tab and submit an order. Click on a card to enter the service details page where you can see other detailed information besides the info from the cards/list view. 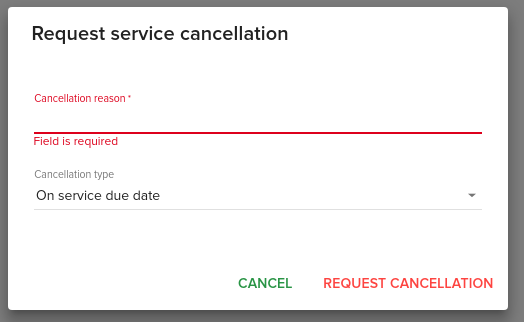 After clicking the button the following popup is triggered where the user can submit the cancellation request.